Preserve food storage containers are made in the USA from 100% BPA free, recycled #5 plastic, dishwasher safe and stand up to everyday use. 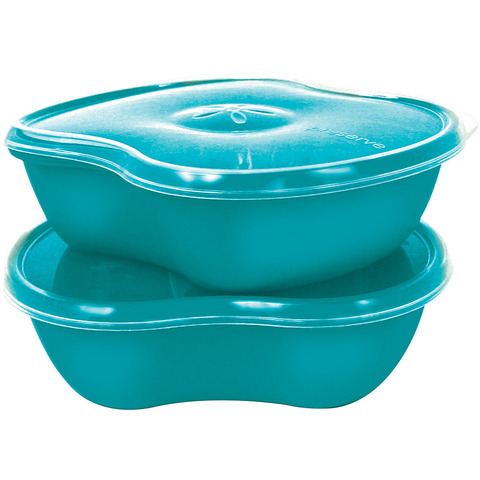 The containers have innovative lids which screw on tightly to keep food fresh. They also nest for easy storage. 100% recyclable. Square Container: Great for sandwiches, leftovers, salads and more! 25 oz capacity. 2 pack. Large Round Container: Perfect for taking leftovers to work or school. 25 oz capacity. Small Round Container: Great for fruit, cereal, munchies and much more! 19 oz capacity. Mini Round Container: Great for snacks, yogurt, andfood on the go. 8 oz capacity. 4 pack.